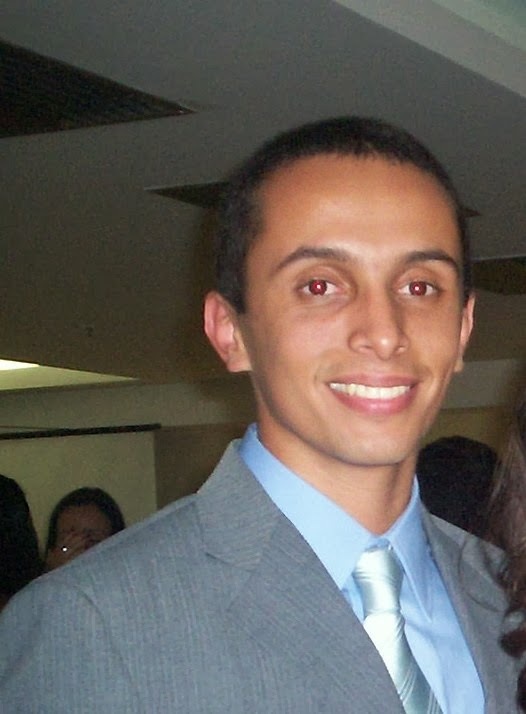 Quando eu penso em 26 de Maio de 2007(foto) me vem muita coisa à cabeça. Porque é impressionante como a vida muda tanto em tão pouco tempo. Mas talvez este dia nada significasse para mim, se não fosse um marco , o mais importante, na minha jornada dentro do Ving Tsun: O dia do meu "Baai Si". Baai Si(拜師) é a união de dois ideogramas que significam "Reverenciar o Mestre". Trata-se de uma Cerimônia na qual você oferece chá para seu Si Fu, e quando este o bebe, vocês criam um vínculo vitalício. Além disso , durante o Baai Si(拜師), você realiza o "Kau Tau"(KowTow) [磕頭]. Que significa "Tocar a cabeça". 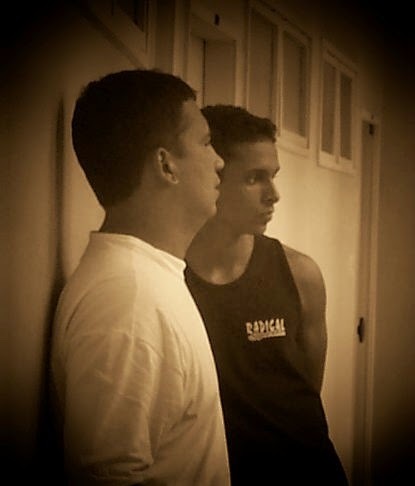 Este é um movimento no qual você toca suas duas mãos, seus dois joelhos e sua cabeça três vezes ao solo, demonstrando ao Si Fu e aos presentes sua total e absoluta confiança nele. Pois você está oferecendo sua cabeça. When I think of May 26, 2007 (photo) comes to many things to mind . Because it is amazing how life changes so much in so little time. 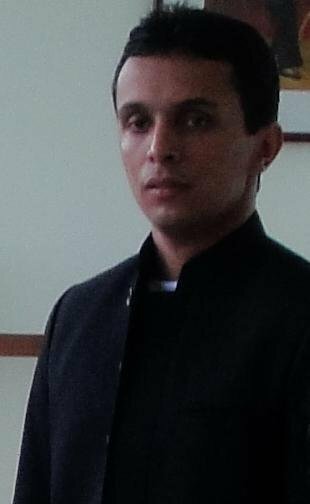 But perhaps this day meant nothing to me, if was not a landmark, the most important one in my journey within the Ving Tsun: The day of my "Baai Si". Baai Si(拜師) is the union of two characters that mean "revere the Master." This is a ceremony in which you offer tea to your Si Fu, and when he drinks it, you create a lifelong bond. Moreover, during the Baai Si(拜師), you realize the (KowTow) [磕頭]. Meaning "Touching the head." This is a movement in which you put both hands, your two knees and your head to the ground three times, showing the Si Fu and people your total and absolute confidence in him. Because you are offering your head. 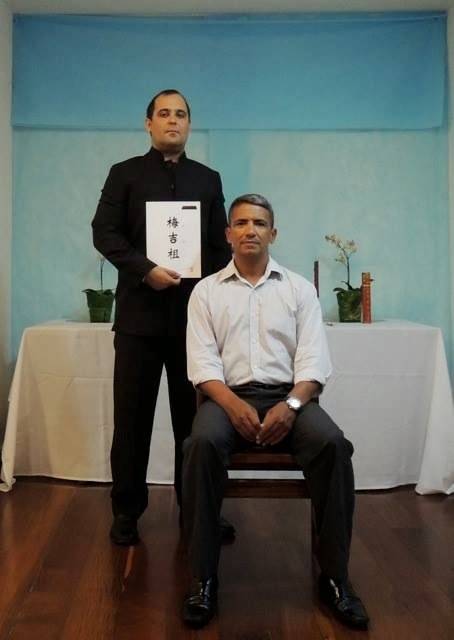 A cena abaixo é da novela de 2007 chamada "Wing Chun", onde o ator e Si Fu de Ving Tsun na vida real, Philip Ng interpreta o ancestral de nossa linhagem Chan Wah Shun (Si Fu de Ip Man). 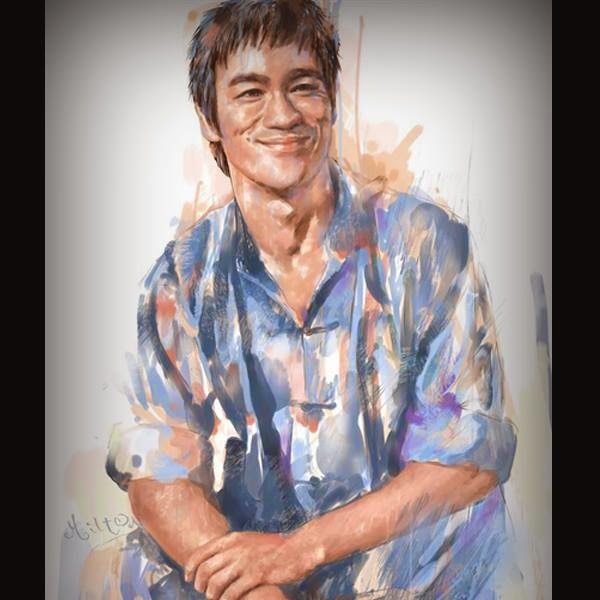 Nesta cena tocante, com uma trilha de fundo que até hoje não me conformo de não ter achado, mostra o momento do Baai Si de Chan Wahn Shun(Philip Ng) com Leung Jaan (Yuen Biao). The scene below is the 2007 series called "Wing Chun", where actor and Si Fu in real life, Philip Ng plays the ancestral of our lineage Chan Wah Shun (Si Fu of Ip Man). In this touching scene, shows the moment of Baai Si of Chan Wah Shun (Philip Ng) with Leung Jaan (Yuen Biao). 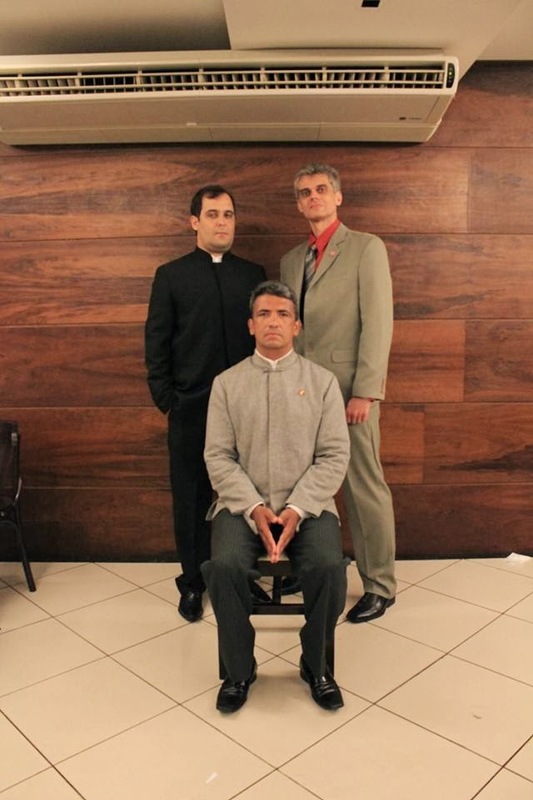 Na cena acima, vemos que o casamento do filho mais novo de Leung Jaan, Leung Chun, é interrompido para que aconteça o Baai Si. Na verdade isso é muito comum: Aproveitar ocasiões especialíssimas para tal. In the scene above, we see that during the marriage of the youngest son of Leung Jaan, Leung Chun, stops to happen the Baai Si. Actually this is very common: Getting very special occasions for such. Por isso, que Claudio Teixeira realizou o "Kau Tau"(KowTow) [磕頭] (como vemos na foto) em sua Cerimônia de Baai Si que ocorreu no último dia 30 de Novembro durante o aniversário de Si Fu. 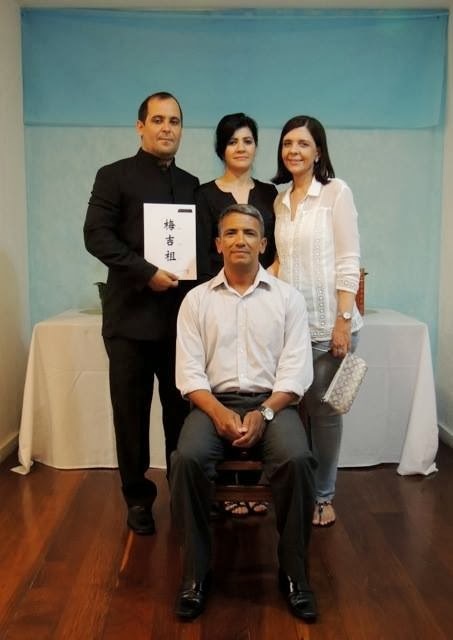 Em nosso Clã, as 3 reverências não são feitas diretamente ao Si Fu, mas sim a mesa ancestral, como vemos na foto. 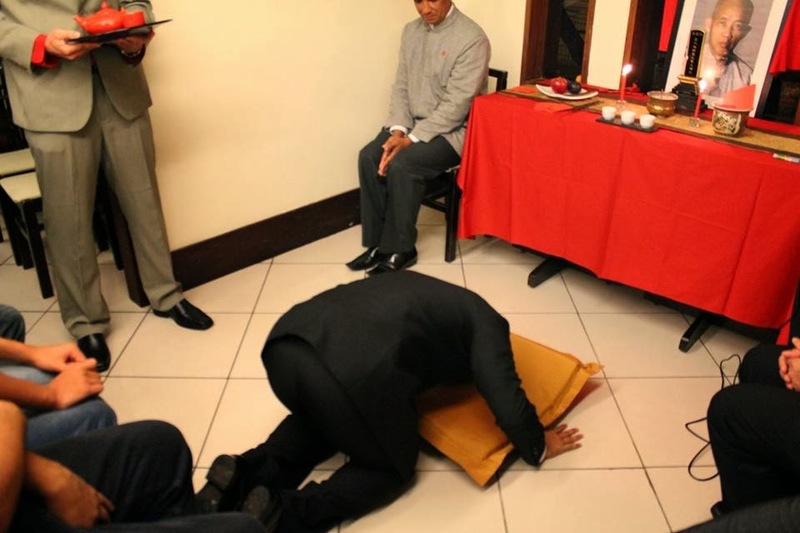 Therefore, Claudio Teixeira did the (KowTow) [磕頭] (as seen in photo) in his Baai Si ceremony that took place last November 30 during the birthday of Si Fu. In our clan, the 3 bows are not made directly to Si Fu, but the to the ancestor table, as shown in photo. A partir daquele momento, Claudio Teixeira inscrevia seu nome numa Linhagem ininterrupta de doze gerações a contar com ele. Mas para chegar até ali, ele precisou de uma pessoa: Seu Gaai Siu Yan (介紹人). From that moment, Claudio Teixeira inscribed his name in an unbroken lineage of twelve generations including him. But to get there, he needed a person: His Gaai Siu Yan (介紹人). Leung Bik(Nicolas Tse) chama Chan Wah Shun(Philip Ng) por seu apelido de "Jaau Chin Wah" (Wah, o trocador de dinheiro") e diz a ele se não quer fazer "Baai Si". Porém Leung Bik (Nicolas Tse) não o deixa ajoelhar antes de pegar chá. Leung Bik (Nicolas Tse) calls Chan Wah Shun (Philip Ng) by his nickname "Jaau Chin Wah" (Wah the money changer ") and ask him if does not want to" Baai Si. " But Leung Bik (Nicolas Tse) does not let him kneel before taking tea. Gaai Siu Yan (介紹人) siginifica "apresentador". É a pessoa que vai te apresentar a Família e te conduzir até o momento de seu Baai Si. Claudio Teixeira, não poderia ter escolhido melhor. Seu Gaai Siu Yan (介紹人). é ninguém menos que o membro mais antigo da Família Moy Jo Lei Ou, e também o discípulo número 1 de Si Fu: Si Hing Leo Reis(foto). Gaai Siu Yan (介紹人) simply means "introducer". It is the person who will introduce you to the kung fu family and drive you to the time untill the moment of your Baai Si . Claudio Teixeira, could not have chosen better. His Gaai Siu Yan (介紹人).. is none other than the oldest member of the Moy Jo Lei Ou Family, and also the number 1 disciple Si Fu : Si Hing Leo Reis (photo). 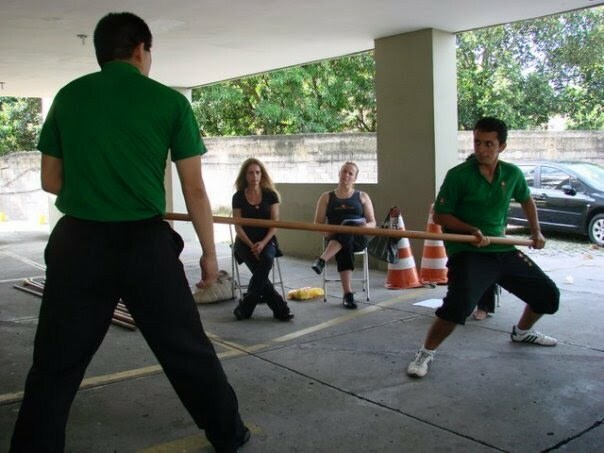 "Ontem durante a Cerimônia de Acesso ao Sistema Ving Tsun e Admissão na Família Moy Lin Mah do Clã Moy Yat Sang o Si Fu Moy Jo Lei Ou me agraciou com meu nome Kung fu, Moy Kat Jo,em complemento ao meu Baai Si ocorrido em 30 de novembro de 2013." Claudio Teixeira earned his Kung Fu Name, to be entered in our Genealogy Tree just a few months later during the lastest ceremony of the Moy Lin Mah Family. "Yesterday during the ceremony to Access the Ving Tsun System and Admission on Family Moy Lin Moy Mah of Moy Yat Sang Clan. Si Fu Moy Jo Lei Ou has given me my Kung Fu Name, Moy Kat Jo, in addition to my Baai Si occurred in November 30, 2013. " "Moy Ka Jo" (梅吉祖) possui 3 ideogramas: "Moy"(梅) o nome de Família dado a Cláudio por Si Fu. E "Ka Jo"(吉祖) que reúne os ideogramas Ka(吉) de "sorte" e "Jo"(祖) de "Ancestral" como em "Moy Jo Lei Ou" o nome de nosso Si Fu. "Moy Ka Jo" (梅吉祖) has 3 characters: "Moy"(梅), the Family name given to him by Si Fu. And "Ka Jo"(吉祖) that reunites two characters: Ka(吉) "Lucky" and "Jo"(祖) from "Ancestor" like in our Si Fu´s name: Moy Jo Lei Ou. O que Cláudio não sabe, é que o desejo de Si Fu para tê-lo como discípulo, e o estudo sobre seu nome vem de longa data. Para ser mais preciso de 2009(foto) durante viagem de Si Fu a China, quando ele tinha em mãos o nome de 4 pessoas das quais apenas 3 se tornaram discípulas. Seus nomes Kung Fu estavam escolhidos, mas curiosamente, o de Cláudio foi o único que mudou... Por que será? What Claudio does not know, is that the desire of Si Fu to have him as an disciple, and the study on his Kung Fu Name comes from longtime ago. 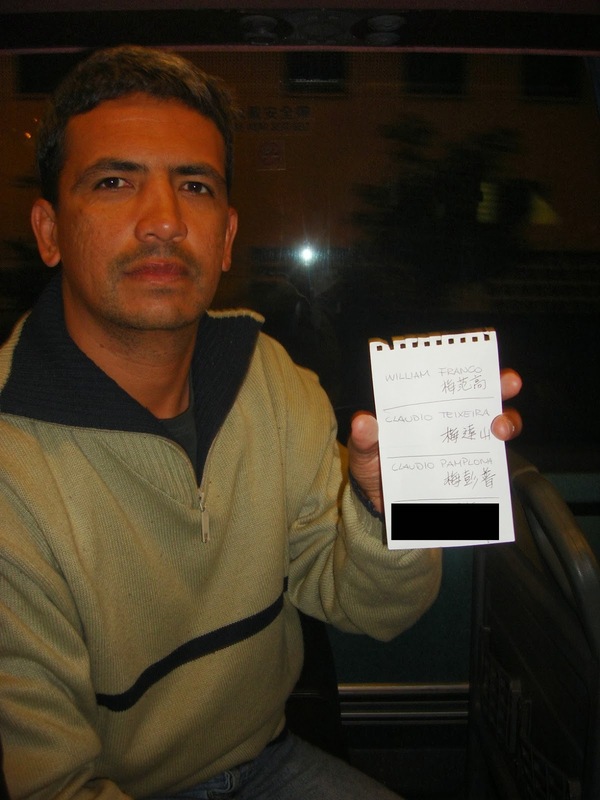 To be more precise, 2009 (photo) during the trip of Si Fu to China, when he had in hand the name of 4 persons of which only 3 have become disciples. Their names were already choosen , but interestingly, the Claudio's was the only one who has changed ... Why ? Si Sok disse: "Parabéns Pereira... Agora é pra sempre!" Si Sok said: "Congratulations Pereira ... Now is forever!" 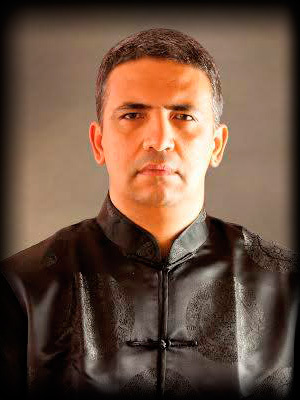 Claudio Teixeira, "Moy Ka Jo" (梅吉祖), desejo a você como um irmão Kung Fu, toda a sorte do mundo nessa nova etapa. Mas nunca se esqueça: Não importa mais onde esteja, ou o que acontecer... Porque... "agora é pra sempre!" 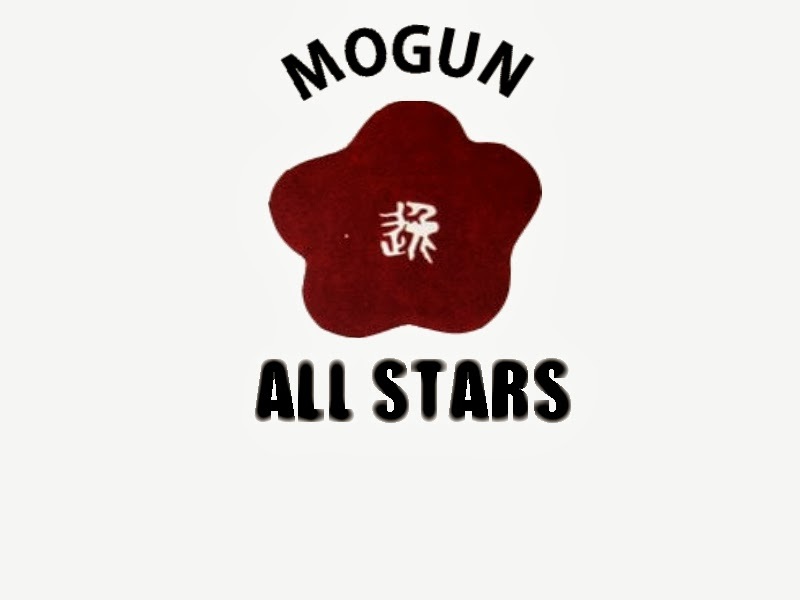 Claudio Teixeira, "Moy Ka Jo" (梅吉祖), I wish you as your Kung Fu Brother, all the luck in this new stage. But never forget: It does not matter where you are, or what happen ... Because from now on ... "its forever!" 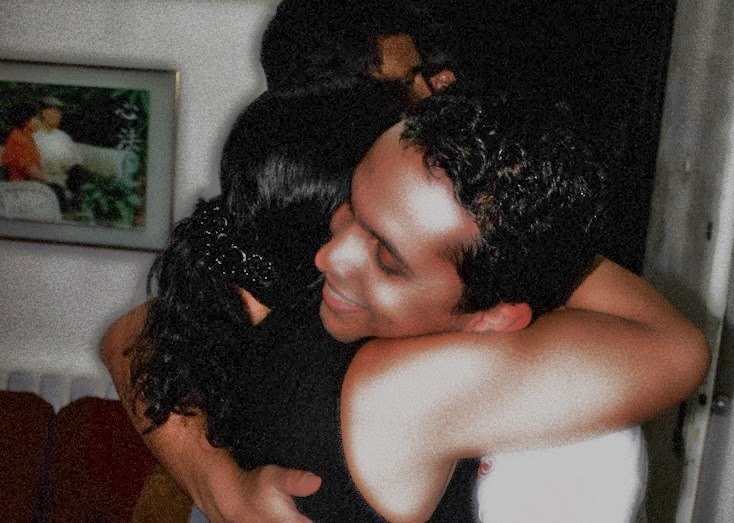 Chegamos ao final desta primeira parte do post e uma pergunta fica: "Quem será o convidado a ser mais um discípulo da Família Moy Jo Lei Ou liderada por Si Fu Julio Camaccho(foto)?" 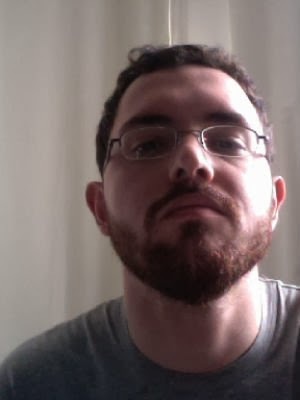 Carlos Antunes vai contar para vocês na segunda e última parte deste post!!! 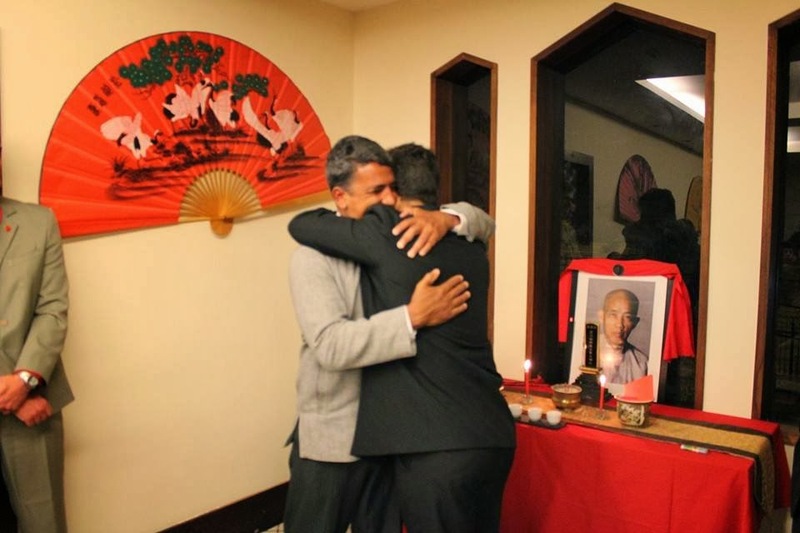 We reached the end of this first part of the post and a question remains: "Who will was invited to be the new disciple of Moy Jo Lei Ou Family led by Si Fu Julio Camaccho (photo)?" 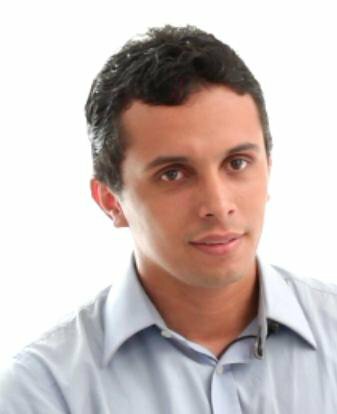 Carlos Antunes will tell you in the second and final part of this post!